Just got to the desert about a 1200 miles in. Two wheels on my wagon and the Himalayan still humming along. Hard to believe it hasn’t missed a beat running down from Malaga over the High Atlas and down here to the edge of the Sahara. The tension is unbearable! Fuel economy has slowly improved and is now averaging 77mpg Imp (about 27.2kpl; 64.1 US). Bear in mind since leaving the autoroute from Tangier I rarely go over 60, where that’s possible. At yet at these modest speeds the REH is a very satisfying and undemanding ride. 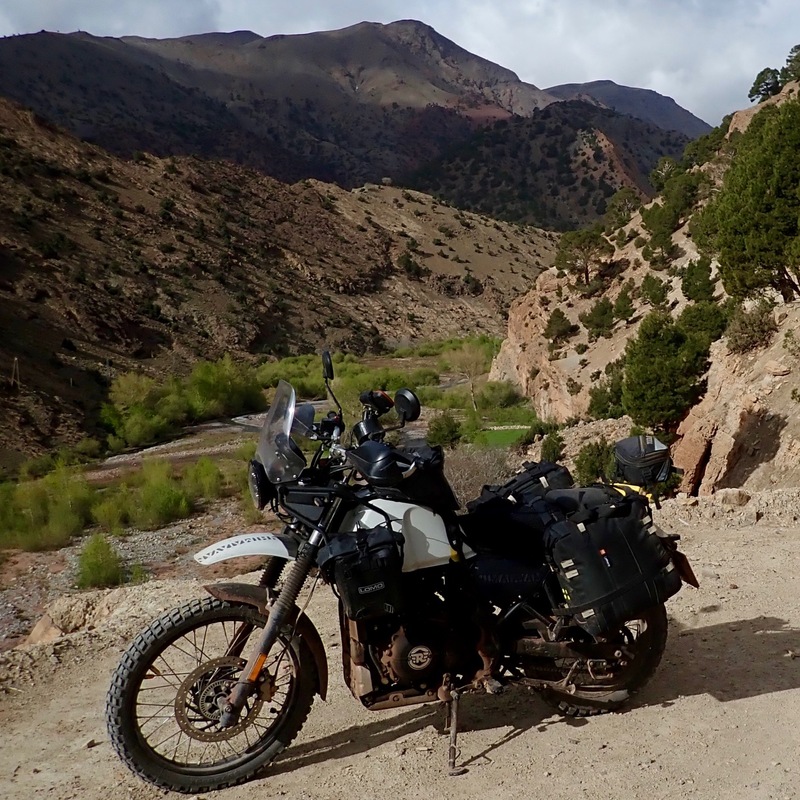 It’s an ideal low-profile machine for Morocco, if not so much the getting here. That’s because the seat still needs work; an easy enough fix. I’m really impressed how well this thing rides on the dry stony mountain tracks which sum up most of ‘mainland’ Morocco. It’’s so effortless you don’t even notice at first. Can’t say the same of a 310GS which I’ve also ridden out here a lot: more concentration required on the dirt. The 310 motor and brakes are more suited to shredding tarmac canyons. 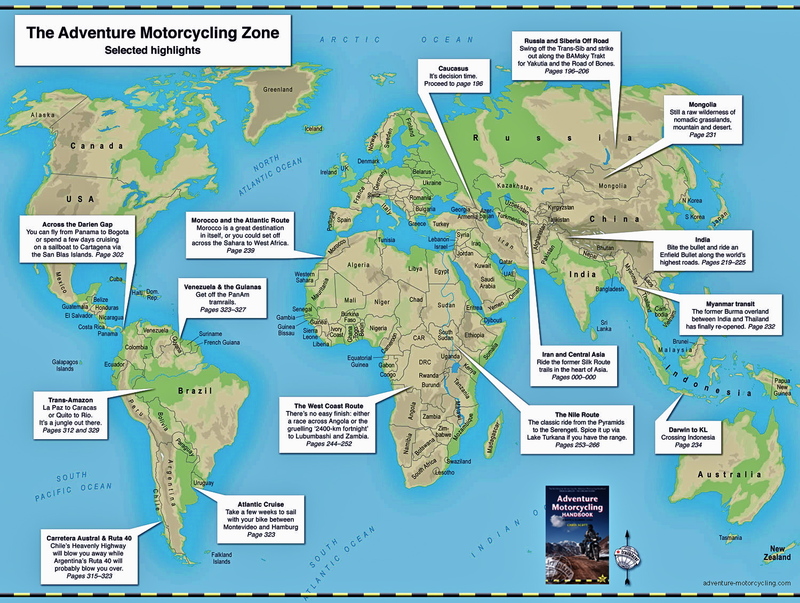 It’s just another adventure-styled bike that’s not really an off-roader. The REH doesn’t look like anything you’d know – maybe a civil partnership of Rokon and MZ. 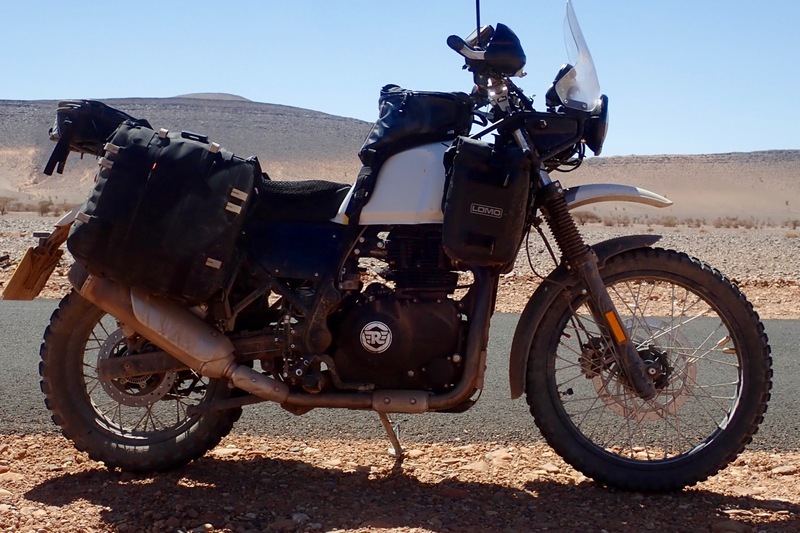 It must be down to the Him’s combination of low CoG, torquey, long-stroke motor, wide gearing and 21-inch front, plus on my bike, the Anakee Wilds and YSS shock which help make it one of the best bikes I’ve ridden in Morocco for years. 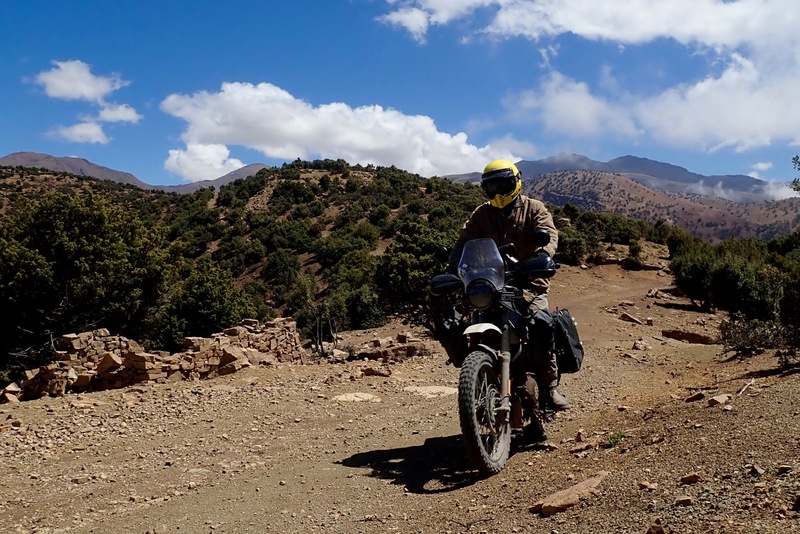 On one epic high mountain day I even managed to zing the centre stand on the supermoto track they call the road down to Sidi Ouaziz. Brakes are fine on the dirt. The weak-on-road front is as you’d want; the back a tad sharp, but that’s normal, easy to manage and even useful. To me the ABS is not an issue at the speeds I or the bike can manage on the dirt. If it engages you probably need to slow down. Both wheels lock easily on really loose stuff before the ABS even reach foe the alarm clock. On the road I’m sure there will come a day when I welcome it. My proof-of-seat concept (2 x 20mm foam sandwich under a Cool Cover) is an improvement but not there yet. Two days over 400km more or less non-stop and I wonder if the foam slabs are crushed out already. 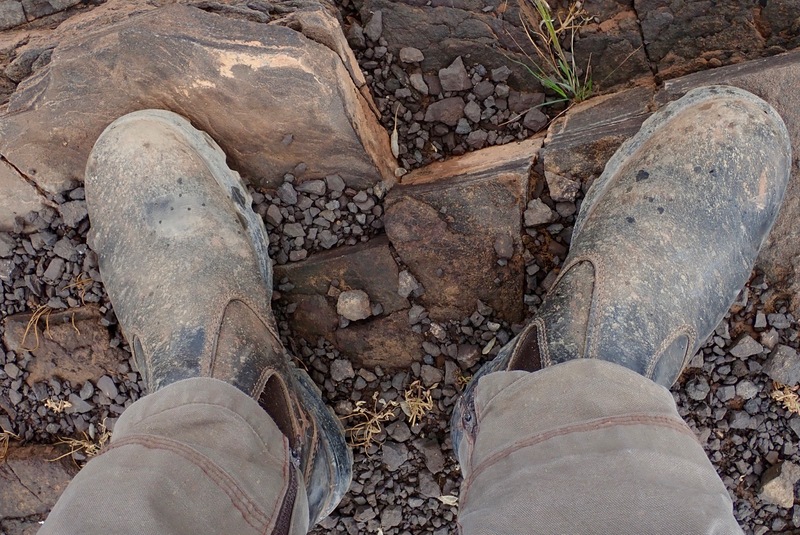 It’s worse on rocky dirt where I tend to stand only when I must. The aerated Cool Cover may help, but it’s slippery and tends to slide me forward. Next version wants to be more level and maybe better foam. I think what’s still a short distance between seat and footrest (for me) makes levering the body upwards harder that it would be on a KTM450 for example. Removing the footrest rubbers will add an inch more leverage while the 2-inch rise in the bars is nearly just right for me. Even though I’m wearing a Bell Moto III I don’t find the buffeting from the short screen intrusive at 65 – my self-imposed max until I know better. It needs to be about 4 inches higher to push the wind over my head but I wonder if one of those air lip/dams might also help lift the airstream. I bought an MRA one but it was too wide to fit without drilling or other bodging. Of course on the dirt the screen is as unobtrusive as you want which is why a spoiler is a better idea than adding height. The Enfield catches you out with firm stock suspension – the opposite of most of my recent bikes, especially the Jap ones. I bought a YSS shock and fork preloaders as soon as I got the bike, and the YSS shock works as well or better than the Hyperpro (XCo, WR), Tractive (CB500X) or Wilber (XSR700) I’ve run out here recently. All it needs is a pricey HPA to be truly useful, because adjusting preload will be a right pain (unlike a 310GS, for example). I suppose they’re now a bit shown up by the YSS shock, but road and trail the RWUp forks are just right for my sort of speeds and load. The preloaders are set on zero – rats! that’s ten quid down the drain. Because my Anakees are knobbly I tend to leave them at road pressures on the trail, which makes the suspension feel harsher than it is. I know dropping just a few pounds will make a difference, but I tend to endure rather than fiddle, until necessary. Fyi I’m 95kg (210lb) and my gear is probably another 20%. 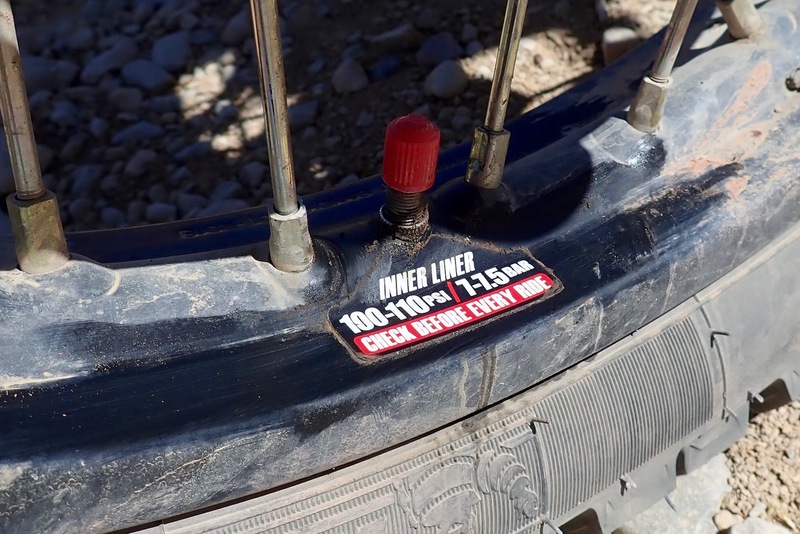 Out of Malaga the fully charged Michelin TPMS took many hours to pair up and show readings, but since was very handy in monitoring the experimental tubeless tyre pressures. Sadly, 10 days in it appears to have packed up – not even the battery level is indicated. 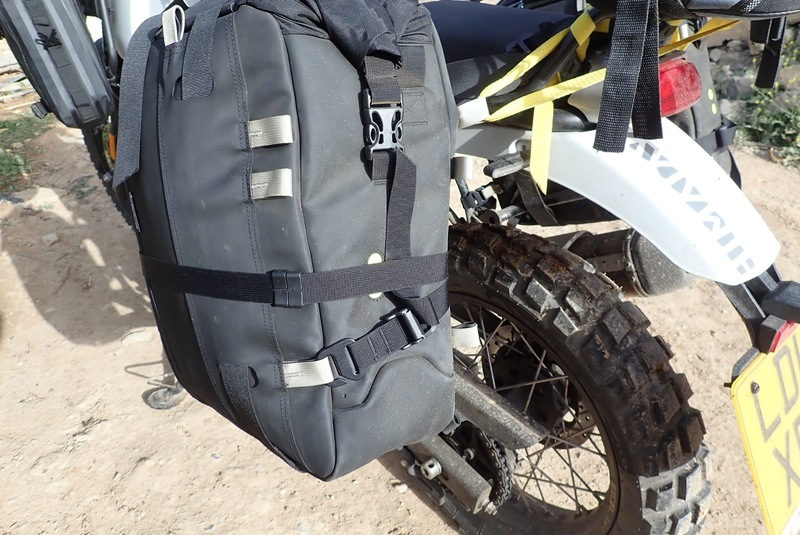 Now I’ve refined the strapping, the slim Kriega OS20s throwovers sit tight and are easy and quick to access. Total demounting would be easier with the HDPE Kriega platform, but for the moment I pull out the white liners if I need to strip the bike overnight (rare). Their slimness is a real benefit on some narrow and gnarly canyon tracks where catching the cliffside with metre+ wide alloy cabinets risks being ejected into the abyss on the rebound, like that famous Triumph-in-the marina video from a few years back. Only here it could end a lot worse than falling into someone’s prized yacht. 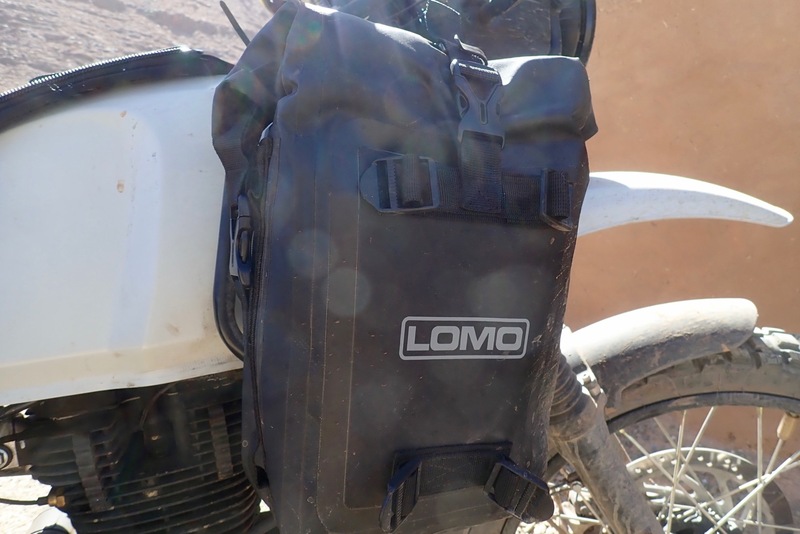 Even with bivouac camping gear (everything bar a tent) there’s no need for a tail pack because the nifty 6-litre Lomo bags either side of the tank take up the slack and help spread the load evenly. A very handy spot for gear and, with the Kriegas, a sacrificial crashbar for when that days comes. So, after 10 brilliant days in the mountains managing to dodge hail, bandits and lightning, all is good with the Himalayan and pretty good with my adaptions. It’s somewhat nerve-wracking but then it always is as I tend to come out here on a wing and a prayer with roughly adapted bikes I’ve barely used. The XCountry came with the various lip-chewing issues of that series (but nothing went wrong) and the WR250R had dodgy fuel pump activity when hot (but with care got me round OK). Clapped-out Tornados only had age- or user-related issues. Even a Husky 650 Terra, a 701 and an F650GS loaner and 700GS rental with 100k did me a week. Only the Tenere 660Z CB500X and tasty XSR700 came with- and delivered absolutely no worries. You can’t pay enough for that (bodes well for the XT700, too. You can see where I’m going with this). I met a gnarly KTM450 overlander carrying a spare injector, fuel pump and clutch. Me, I have spare underpants. In fact I brought two by mistake. One will have to go. Time to see how the Himalayan manages several hundred miles of desert piste. 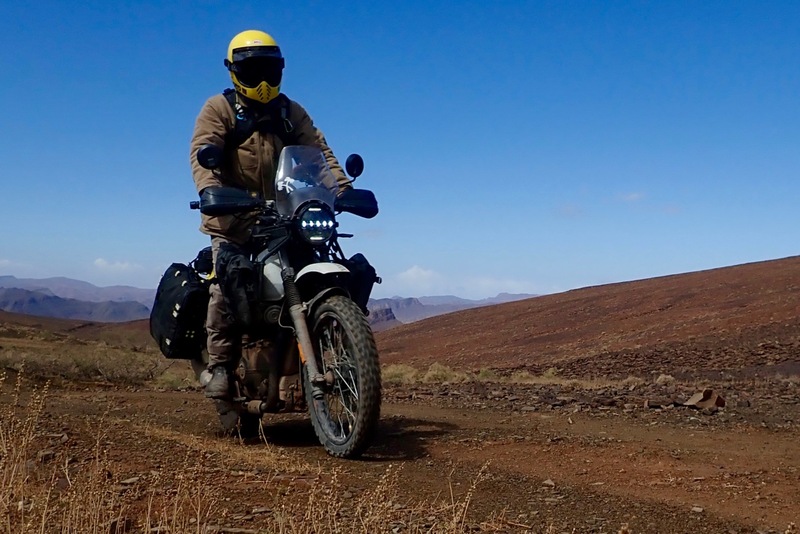 This entry was posted in AMH News, Project Bikes, Project: Enfield Himalayan and tagged digtree, Enfield Himalayan, western sahara. Bookmark the permalink. Say, eh, off-topic question (but mentioned in the post): these bandits that you dodged, is that the same type that tried to grab and jerk our luggage of our bikes on the Cirque du Jaffar in return for cigarettes or money ? :) Not that we ran for our lives, but we did not anticipate on those guys, is that common in Morocco or a rare sight? I have heard of other people having similar experience on Jaffar. Was that recently? Unknown elsewhere in Morocco as far as i know. Glad to hear that you haven’t face any issues with your Himalayan. Waiting to read the rest of your trip. I’m a Himalayan owner myself with only about 5000 trouble free km so far. One day I will visit Marocco as well.